With the demise of the Zimbabwean dollar and introduction of American dollar as an official currency, most institutions in Zimbabwe generally failed to pay employees regional salaries. Great Zimbabwe University is not an exception and it responded to incentives as a way to retain and appreciate the services offered by the employees. 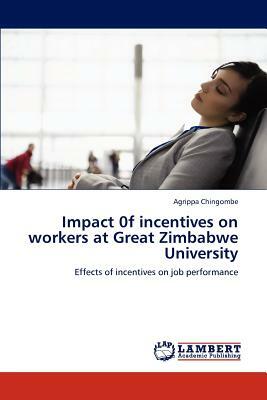 The purpose of this study was to establish the impact of incentive system on employee performance at Great Zimbabwe University. The results of the study showed that the introduction of United States dollar after the fall of Zimbabwean currency brought mixed reactions among employees. Employees were both positively and negatively affected by the payment of incentives.